AusGroup Limited (the “Company”) is pleased to advise that AMJV, a joint venture between AusGroup subsidiary AGC Industries Pty Ltd and Meisei Industrial Co. Ltd, has been awarded a contract extension by JKC Australia LNG Pty Ltd (“JKC”). 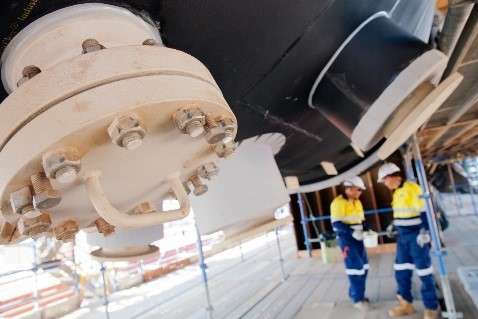 This AU$67 million extension of works is in addition to a recent contract extension, awarded in August 2017 for painting, surface protection, fireproofing and insulation works for the onshore facilities near Darwin, Northern Territory, Australia. Chief Executive Officer Shane Kimpton said “It is pleasing to see that our ability to deliver on such an iconic Australian project is being demonstrated through our continued presence on site.